New Photo Gloss version of our Best Selling DVD-R! Surface: White 'Photo Gloss' inkjet printable, for all inkjet printers. 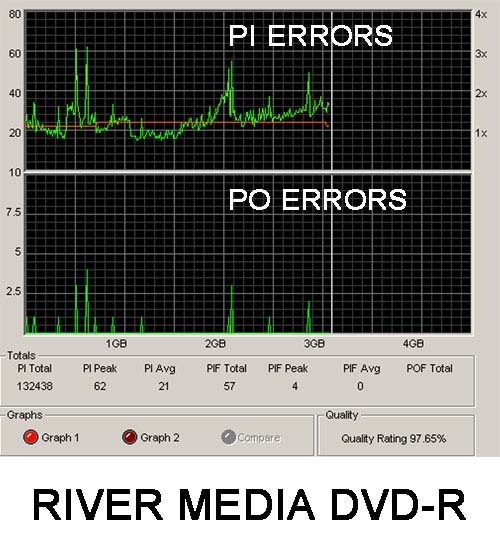 DVD-R is a "write once" technology that can be used in DVD-RW recorders and read by nearly any computer DVD drive or DVD player. 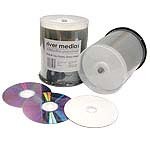 DVD-R media uses only cyanine recording dyes which appear violet on the recording side of the disc. The laser of your DVD-RW drive heats the dye to a temperature of about 200 C, irreversibly melting a pitted pattern into the recording layer. A plastic layer alongside the dye expands into the newly available space creating a pit pattern similar to that of a conventional DVD. Your DVD player reads this highly reflective pattern for playback. Because the plastic layer melts into the dye layer to set the pattern, DVD-R discs cannot be re-recorded. The larger storage capacity of a DVD-R compared to a CD-R is achieved through a smaller pit size and smaller track pitch of the groove spiral which guides the laser beam. Consequently, more pits can be written on the same physical sized disc. In order to write smaller pits onto the recording dye layer a red laser beam with a wavelength of 650 nm (for general use recordable DVD, versus a wavelength of 780 nm for CD-R) is used in conjunction with a higher numerical aperture lens. 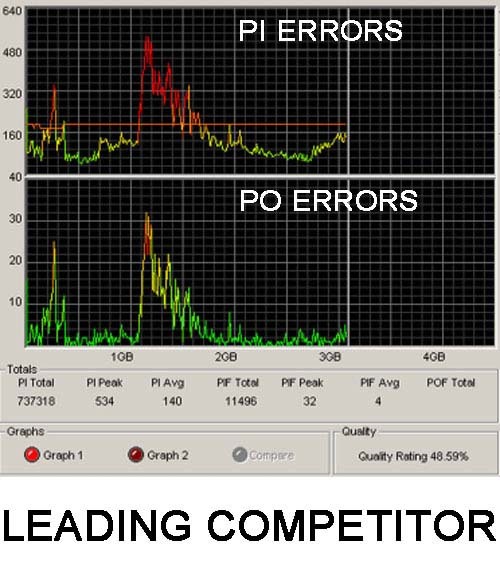 Because of this shorter wavelength DVD-Rs use different dyes from CD-R to properly absorb this wavelength. 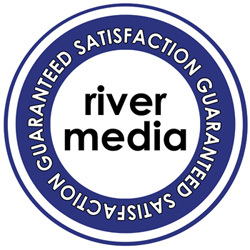 Select the needed Check box and click on Add to Cart of RIVER DVD-R 16x Photo Gloss Inkjet FS - RIVER.